Grape growing and wine production have a long history in Bulgaria, dating back to the times of the Thracians. Wine is, together with Beer and Rakia, among the most popular alcoholic beverages in the country. Bulgaria was the world's second largest wine producer in 1980's, but the industry declined after the collapse of communism. Wine production is growing again, reaching 108m litres in 2011, an increase of 4.9% from the previous year. Bulgaria's fertile lands are now once again one of the world's largest producers of wine after France, Spain, Italy & Greece. A visit to any part of Bulgaria is not complete without sampling at least one of the many established fine wines available. Historically, the cultivation of grapes for wine has been found in many archaeological sites throughout the country and the art of making wine has been refined through deep traditions, technology and time. There are at least five wine growing regions in Bulgaria. The warm, southern parts of Bulgaria nearest the border with Greece, are known for succulent red wines including Carbernet Sauvignon and Merlot, grown in a warm, almost Mediterranean climate. Whilst northern Bulgaria, although producing both red and white grapes, specialises in crisp, clear whites such as Chardonnay, Riesling and Sauvingnon Blanc. The Black Sea area to the east of Bulgaria also boasts three wine growing zones – Bourgas, Pomorie and Varna. The central valleys at the foot of the Balkan Mountains provide another perfect micro climate for wine growing excellence. It's here in particular where red grapes are grown to produce the famous, rich and full bodied Melnik. 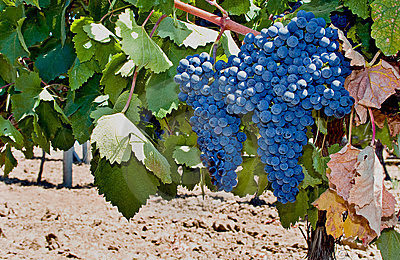 The best Bulgarian grape, Mavrud, grows in the Thracian Valley in the south. As the name suggests, it is as dark and as mysterious as the deep red colour of this late ripening appellation. Grown and distributed internally throughout the southern Bulgarian regions of Assenovgrad, Plovdiv, Chirpan, Stara and Nova Zagora. Experts will easily recognise the large bristly leaf vine from which hang large, round juicy fruit that are easy to harvest when ripe. It is said amongst growers of this region, that you must take your time both when making and taking this deeply aromatic drink! Another special wine called Pamid is one of the oldest wines still made in Bulgaria today. Produced from a delicately flavoured grape, the wine is light, clear and easily enjoyed. Wine connoisseurs speak not only of Melnik, Mavrud and Pamid but also of Misket, Shiroka, Melnishka, Dimyat and Gumza as the finest Bulgarian wines of today. 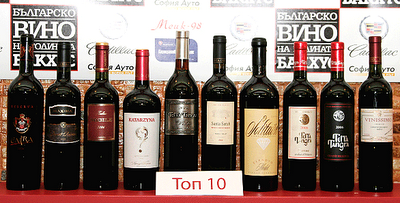 You can be certain that whatever your taste in wine, Bulgaria is sure to provide it. 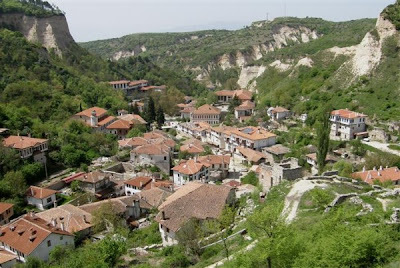 Why not find out more and book your place on our next Bulgarian Wine Tour today!